The club owns a caravan in Burnham-on-Sea which is made available free of charge to the disadvantaged and those in need in Cheltenham who would not otherwise be able to have a holiday. 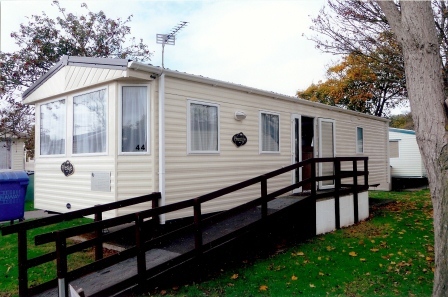 The caravan is fully fitted with facilities for disabled guests including a hoist and roll in shower. This year, 22 weeks of holiday have been booked giving holidays to disabled adults and children with their parents and carers. Guests include children from the local Acorns Hospice and the James Hopkins Trust. This is the third caravan that the club has provided at Burnham. The current one costs £30,000 which was raised single handed by one of our members. Site fees and maintenance costs are in excess of £4000.00 a year and much of our fund raising activities are focused on raising the money to meet these costs.